Thurcaston & Cropston History Society will be displaying old coins at the Parish Meeting. The old coins were donated to the History Society by Mr. Brian Kimberley of Cropston. Mr. Kimberley collected them over the years by metal detecting over the fields. Please come along to the Parish Meeting to see the display. Parish meeting starts at 7pm and finishes at 7.30pm upon commencement of the Parish Council Meeting. 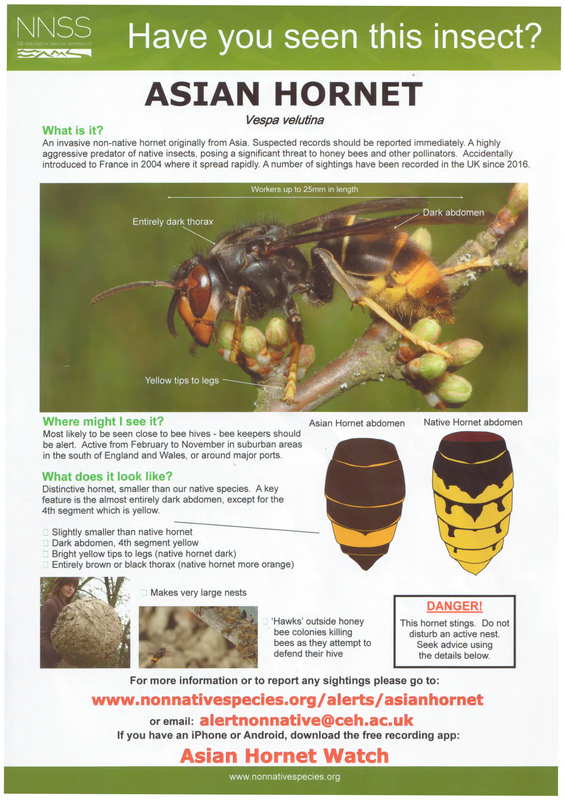 ASIAN HORNET - Have you seen this insect? Local elections will take place on Thursday 2nd May 2019. 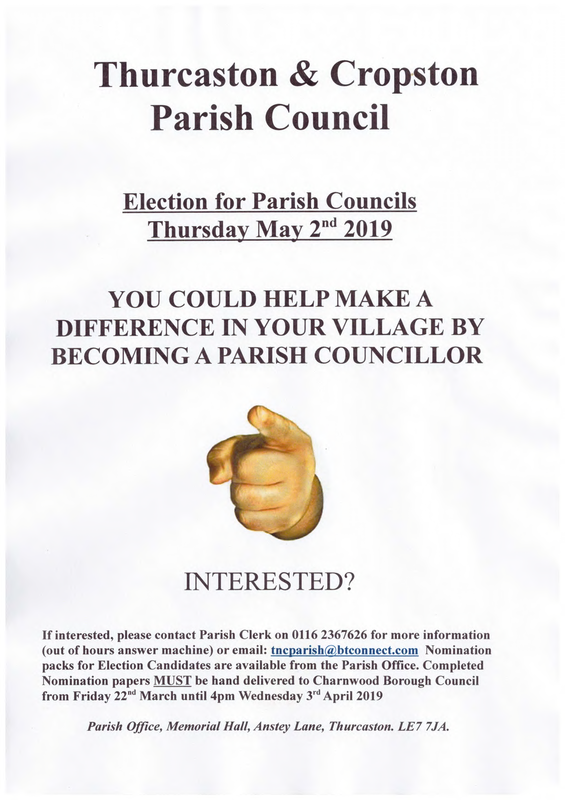 This is your opportunity to join the Parish Council and be a voice for your community. Please go to our Elections Page within Documents to find out more about the elections. Doors open at 7.00pm for 7.30 start. Interval half way through with refreshments. Parish Film - THE CHILDREN ACT on Friday 8th March 7.30pm Memorial Hall, Anstey Lane, Thurcaston. Charnwood Borough Council has agreed to raise its share of council tax by 9p a week for a Band D property. The increase will see the annual charge for an average Band D property rise £5 (4.27 per cent) to £122.09 from April 1, 2019. The Loughborough Special Rate, paid by residents of Loughborough and the equivalent of a parish precept in villages, will remain at the same rate as £74.97. The increase was agreed at full Council on Monday February 25. At the meeting 37 councillors were in favour of the increase, eight were against and there was one abstention. Councillor Tom Barkley, lead member for finance and property services, said: “Our funding from Government has continued to decrease which means we need to raise our element of council tax. “This increase will not cover the reduction in government funding as we are also planning to use our reserves to balance the books for 2019/2020. However, because of careful planning, our financial position remains strong which will enable us to continue offering excellent services for residents. Charnwood Borough Council currently has the 23rd lowest council tax charge out of 201 district councils in the country. Council tax pays for a range of services provided Charnwood Borough Council, Leicestershire County Council, Leicestershire Police and Leicestershire Fire and Rescue and the parish council where you live (or Charnwood Borough Council for people in Loughborough). The Charnwood element accounts for less than 10 per cent of the total bill. For more information about the budget, see the February 25 report to Council. Communities in Charnwood are being encouraged to become #litterheroes and help give the borough a spring clean as part of a national tidy-up campaign. Charnwood Borough Council is hoping residents will get involved and organise events to tidy up local areas over the month-long campaign. The Council is offering to help projects by providing free litter-picking equipment and organising the collection of rubbish and recycling. Groups could arrange litter picks or undertake any other tasks which will keep the borough looking tidy. The Council is also arranging its own litter picks in key areas. The focus of this year’s campaign is to collect and safely dispose of single-use plastic, but the Council is encouraging people to help remove as much general litter from the community, recycling as much as possible. Councillor Leigh Harper-Davies, lead member of contracts said: “The Great British Spring Clean encourages and inspires local communities to get together and help clean up their neighbourhoods. “The issue of single-use plastic has been well documented over the past few years. This is a great opportunity for communities to work together to reduce the amount of plastic and litter in the borough to help it look as beautiful as possible. 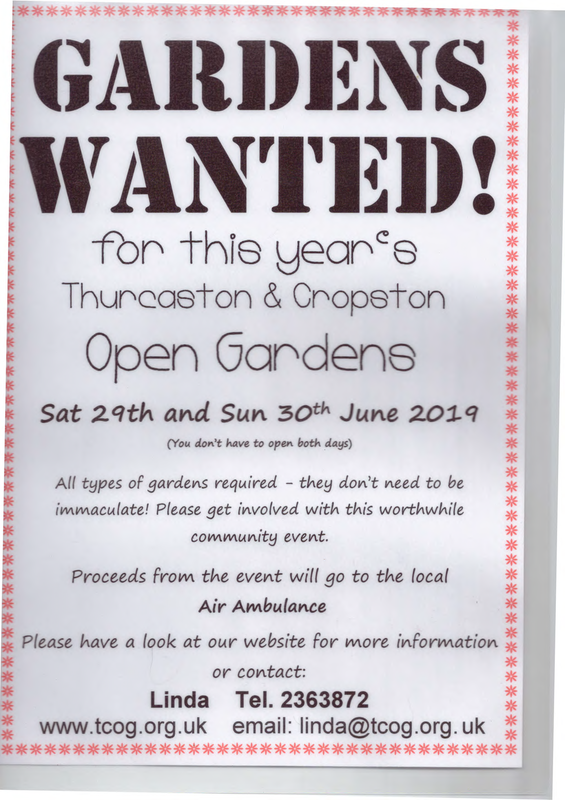 “We’re able to support a number of events so I would urge people to get in touch if you need our help. People are being urged to get in touch as soon as possible as the Council has a limited amount of equipment available. The Council is being supported by partners Idverde which manages the Council’s parks and green spaces, and Serco, which runs the refuse, recycling and street cleansing service. Schools are being asked to also get involved by taking part in the Great Big School Clean. Keep Britain Tidy is offering schools that take part the chance to win £1,000 worth of school equipment. Individuals and groups are being asked to register their events at www.greatbritishspringclean.org.uk.